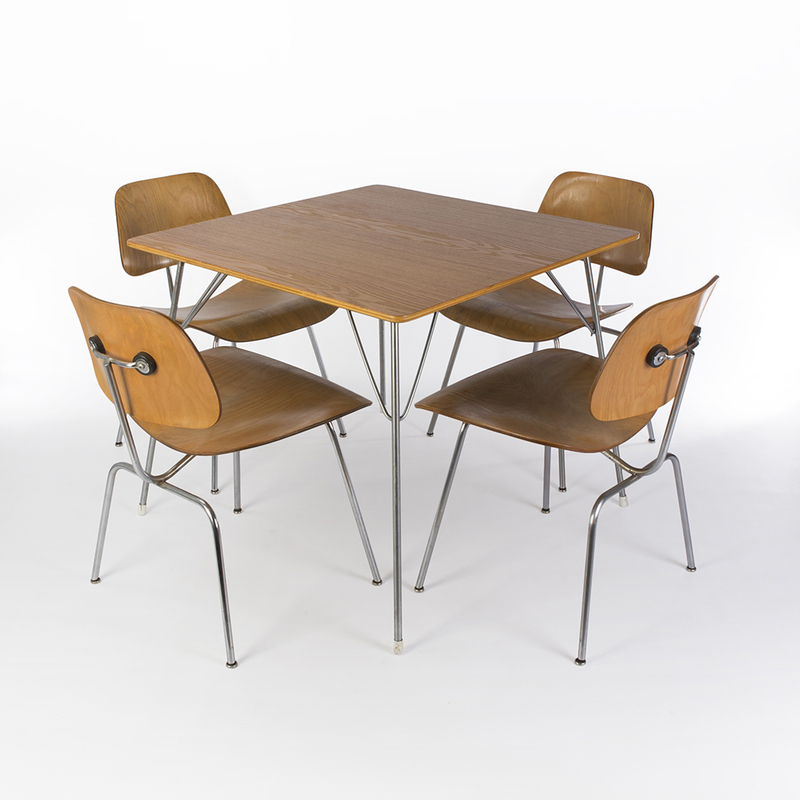 This rare find of an Evans Eames DTM table combined with a vintage set of Evans Eames DCM chairs. 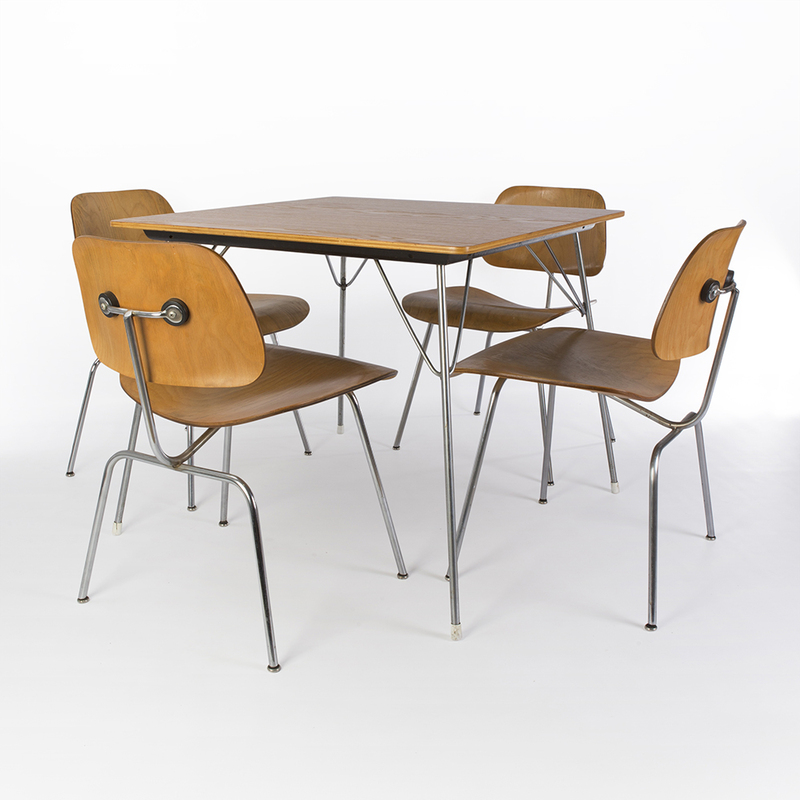 This DTM is also known as the 'drop table' made by Herman Miller. The square shape, size and calico ash colour make this table a nice and desirable piece. 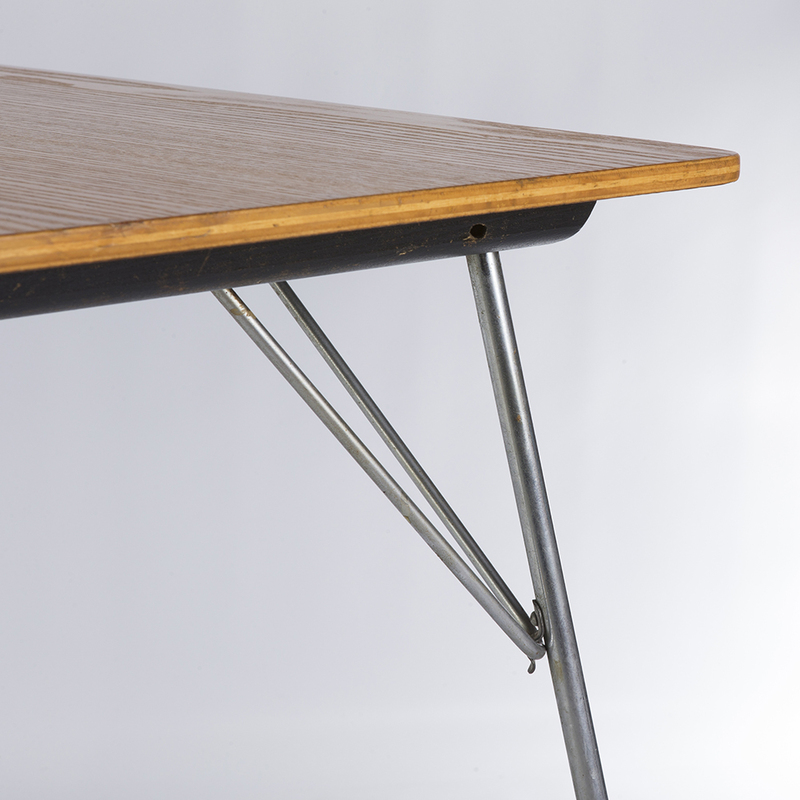 The drop table name originated as the legs of the table 'drop' from being folded in the top when lifted. 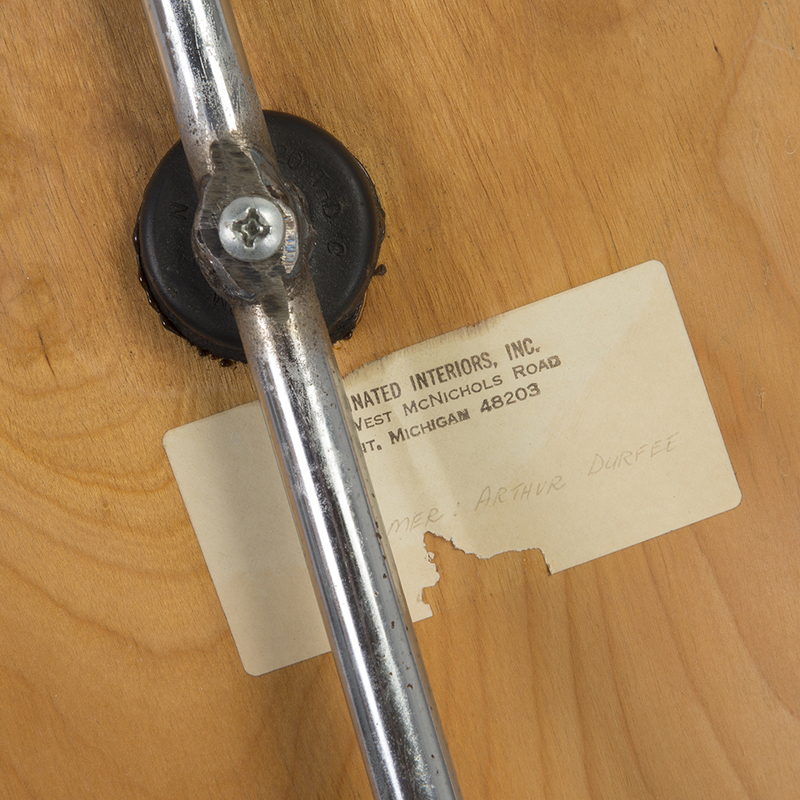 This made the table very mobile and versatile yet retaining a very solid construction. Whilst these first-generation Evans chairs are easily identifiable by their style of foot which changed to the ‘boot’ for the second generation. Both pieces together create the perfect combination for both an investment piece and stylish dining set. Even a conversation starter! The table is in a really nice vintage condition with age related marks and patina, good for a 50+ year table. 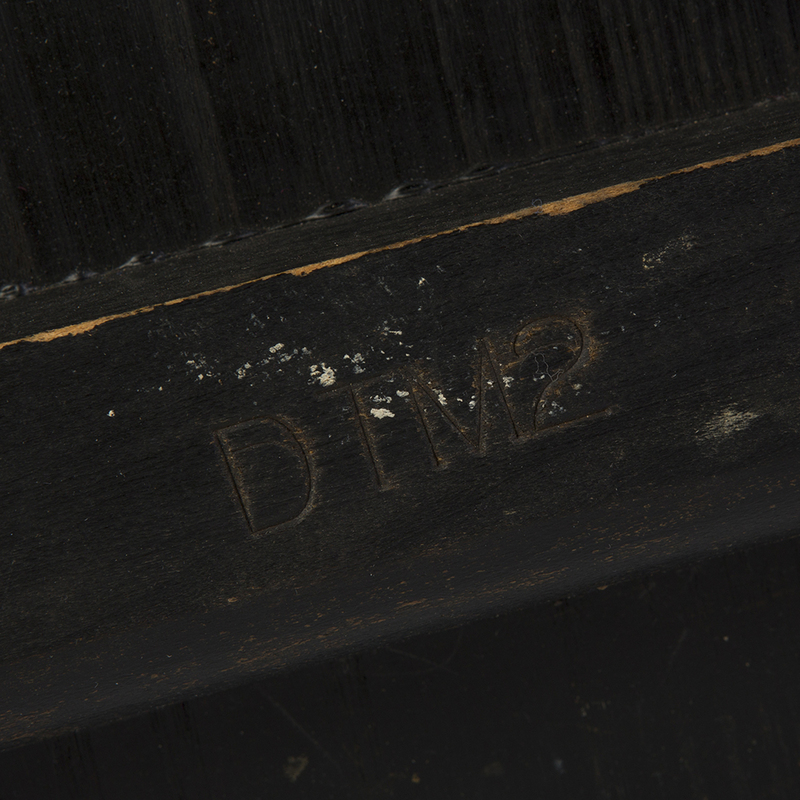 There is one significant mark on the top but with care this could be easily restored. 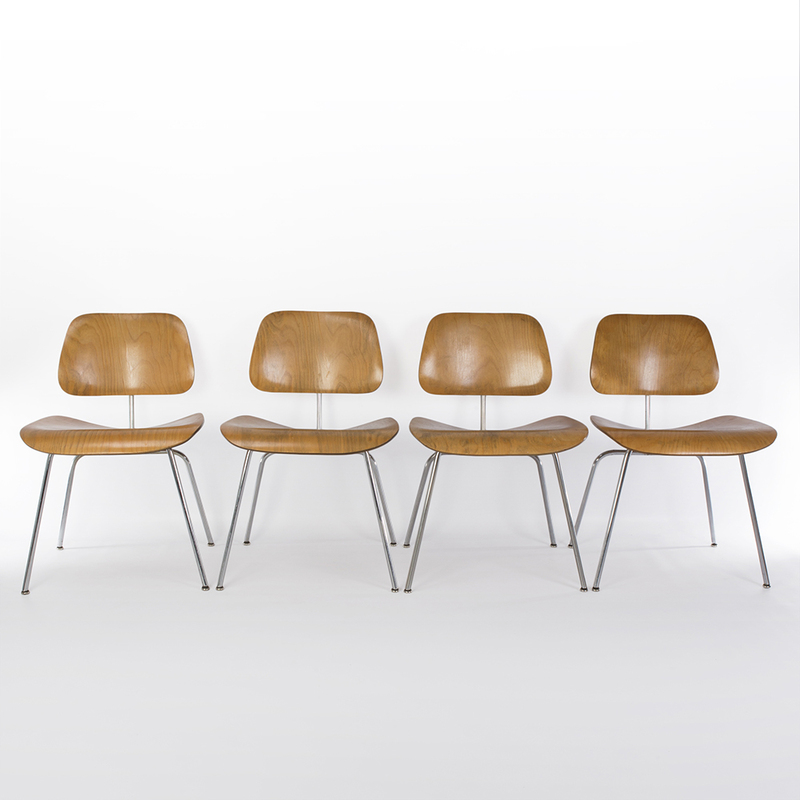 Whilst these chairs are in excellent vintage condition with all their original parts. It has achieved a distinctive patina from its long life which has given an extra depth to the colour of the wood and an aged finish to the frame. 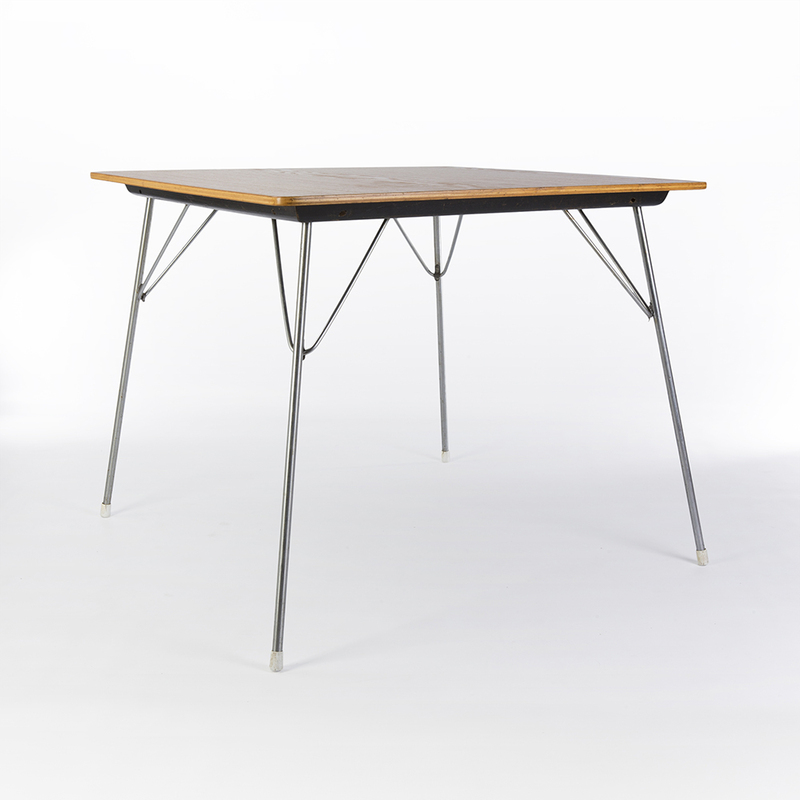 Table Dimensions: Height 28.5 inches whilst the table surface is a total 34 square inches.